At 5 Points Acupuncture our formulas are made from whole, dried, minimally processed, unsulphured herbs. These formulas are then brewed into tea, which you prepare at home. One advantage of using herbal tea instead of tablets or capsules is that we can take these traditional patent formulas and customize them to suit your specific needs. 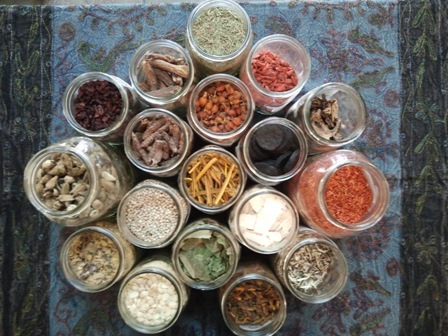 Chinese Herbal Medicine is effective on its own and is an excellent complement to acupuncture. More cost effective-formulas typically cost around $10-$15 for a two week supply. We also make topical formulas that are excellent for injuries, acute and chronic pain and skin conditions. Call or stop by for more information.